Long Range Home Safety Alert Pager With Pendant. Simple solution to enable someone to alert his or her carer if needed. 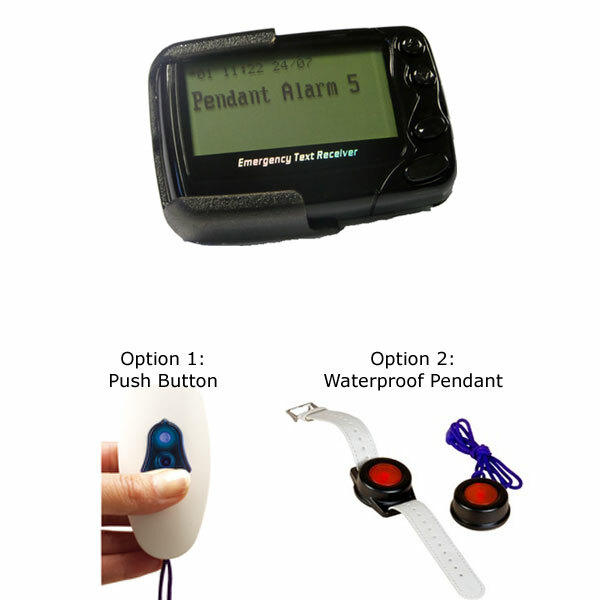 Push button pendant will send a message to the pocket pager. The pendant has a confirm transmission light and extended operating range of up to 400m. 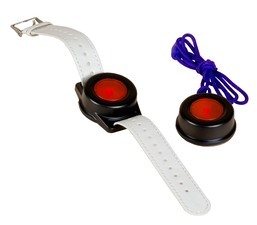 It comes with a push button that be worn as a bracelet or on a lanyard. 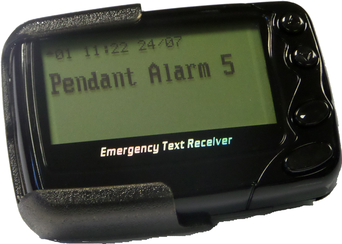 Pager displays a default "HELP" message or a customised message of up to 40 characters. (Customer will be contacted by our technical team to confirm the display message before product is dispatched). Supplied with pager holder belt clip. Pager requires 1 x A23 battery (included).